Daiwa HRF PE special bait caster is specifically designed for bottom bumping with PE braid lines, with rig weight around 1/4-1oz. 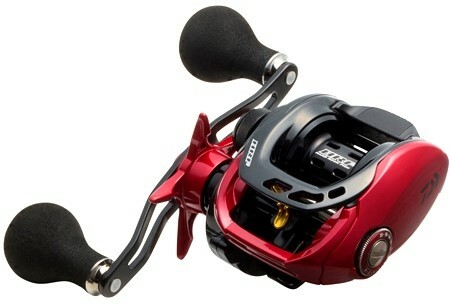 It has sturdy aluminum frame, long 100m power handle with EVA knobs, souped-up 7.0kg drag. Brake is tuned for PE braided lines, to keep slight brake onto the spool to prevent back lash. Level winder moves much faster to prevent dig-ins. TWS level winder adds cating distance.